What in the World is Honey Powder? Is honey powder a form of honey? Like many of you, I was all curious to find out what in the world honey powder is when I first spotted it in the shop overseas (I'm not sure if it's available locally but I've never seen it here on the shelves before). How does honey get into this form? Why isn't there even a tinge of yellow or brown colour but white if it's made from honey? Is there really honey in it? Could it be icing sugar creatively marketed with a different name? -	Also known as dry or dehydrated honey. 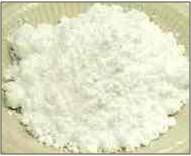 -	White and has a texture similar to corn flour. -	Sprayed dried into fine powder using high heat. -	Contains stabilizer that is made of wheat, starches or sugars such as maltodextrin and fructose. -	Commonly used as an ingredient in baking where the moisture content of recipes is limited. A one to one ratio is applied when replacing table sugar with the powder. -	Also popularly used as a sprinkle on cereal, puddings, biscuits, cakes, and breads. -	Has the benefit of non-stickiness, mess-free, no crystallisation issues, and easy clean up. So how does the powder form of honey compare with liquid honey? Should we call it another form of honey when it is not made of 100% honey? You judge and make your own verdict. 1) Does Cactus Honey Powder come from the bees? 2) Is Agave Nectar safe to eat? End of "What in World is Honey Powder?". Back to "Sugar Substitute: What's behind the name?"